This form allows a sellers or agents should provide us with the info we will need for their closing. This firm will be handling the closing of the sale of your new home. We represent your lender (unless you are paying cash for the property), and will do everything in our power to make your closing as smooth and easy as we can for you. 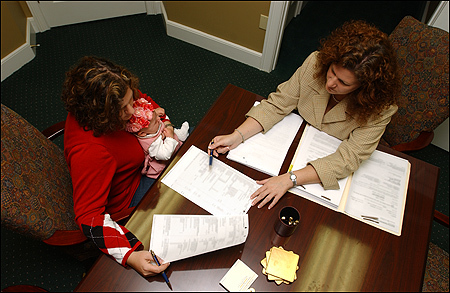 You may call the paralegal assigned to your file at any time if you should have questions or concerns. The closing will take place at our office. We would like to take a moment to answer some commonly asked questions about the closing process. Typically, you will be required to have an copy of your homeowners’ insurance declarations page and a paid receipt or bill for the first year’s insurance premium. If you bring a bill, we will collect the premium at the closing and remit it to your agent. We will call you prior to closing to obtain more information about your insurance, as we will need that information in order to prepare your closing paperwork. If you are paying cash for, not financing, your property, you do not have to provide evidence of insurance. You will be offered owner’s title insurance at closing. Owner’s title insurance is purchased by most home buyers and is the BEST way to protect what is probably your largest asset from fraud, human error, forgery, and many other problems. A property survey is generally not required by your lender. If you would like a professional land surveyor to perform a land survey of your property, please let us know and we will order one for you. A typical land survey for property under one acre will cost $350.00. If your property is one acre or more, we will obtain a quote for you from the surveyor. All funds for closing should be wired to our escrow account prior to closing. We can accept a cashier’s check or certified check for amounts under $5,000 and can accept personal checks in amounts under $1,000. Georgia law required all funds for closing (exceeding $5,000) must be wired, O.C.G.A. Section 44-14-13. Do not send your money by ACH, it will be returned by our bank. We are looking forward to meeting you and assisting you with your property closing. Please email us or call the office for wiring instructions. ** please reference borrower’s name.